Vassalboro – Norman E. Fossett, 84, a lifetime resident of Mill Hill Road in Vassalboro, after a long illness, passed away quietly Thursday, Dec. 27, 2001, at his home surrounded by his family. 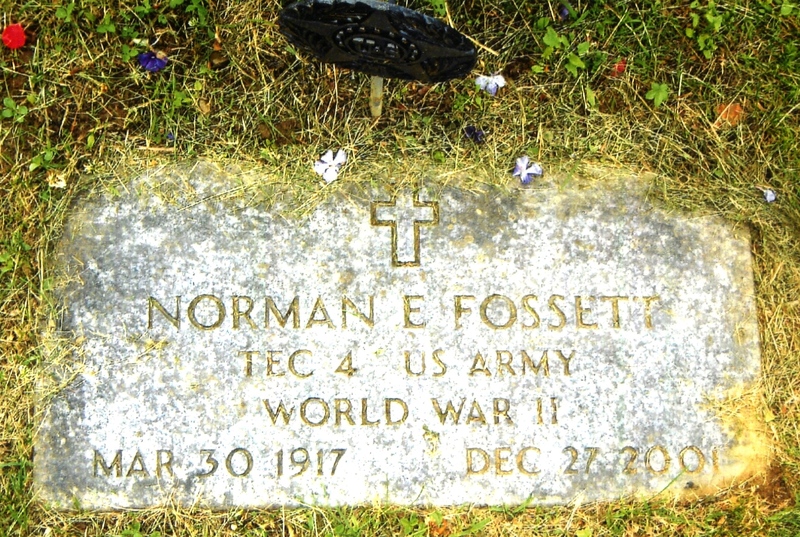 Born in Vassalboro March 30, 1917, he was the son of Henry R. and Laura (Ellis) Fossett. A 1934 graduate of Cony High School, he enlisted in the Maine Army National Guard in 1936, serving during World War II in the China, Burma, and India campaigns, returning to the Maine Army National Guard until his retirement in 1962. He retired from the U.S. Postal Service after 30 years of service delivering mail to residents of Augusta. In his early retirement years, he loved traveling with his wife, Arlene, on numerous Maine Line Tours. He was a lifetime member of the American Legion Post 2 of Augusta, pas commander of the Vassalboro chapter of the American Legion and of the Oakland chapter of the Veterans of Foreign Wars, past state commander of the Sons of Union Veterans, and a member of the Riverside Congregational Church. Possessing an avid interest in history, he was an active member for many years of the Vassalboro Historical Society, Vassalboro Public Library, Old Cemetery Association, Friends of Old Fort Western, and Maine Archaeological Society. 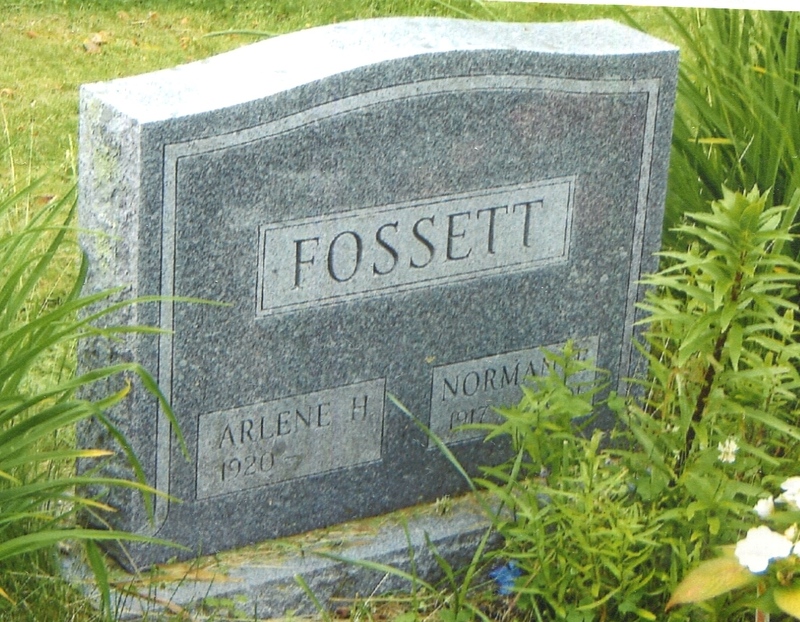 He is survived by Arlene Hughes Fossett, his wife of 58 years; one son, Henry and daughter-in-law, Marie, both of Augusta; two daughters, Colleen and her husband Tim True, of Chelsea, and Melody and her husband, Roland Beaulieu, of Farmingdale; seven grandchildren, Henry Fossett Jr., and his wife, Beth, of Randolph, Danny Fossett and his fiancee, Sue Gotreau, Jack Fossett, all of Augusta; Emily and her husband, Doug Symes, of Farmingdale, Will True, of Chelsea, Joshua Harrison, and his wife, Mary, of Bangor, and Andrew Harrison of Brookeville, Md. ; two great-grandsons, Tanner and Kaden Symes, of Farmingdale. He is also survived by brothers-in-law, Bob Hughes and his wife, Liz, Myron Hughes, and his wife, Carol, all of Vassalboro, and Philip Hughes; sisters-in-law, Alice Hughes and Barbara Folger, both of Augusta, Linda Carson of Winthrop, and Phyllis and her husband, Pete Tremblay, of New Hampshire; lifelong friend, Victor Lister, of Athens; and numerous nieces and nephews, along with many caring neighbors. Burial will be held in the spring at Cross Hill Cemetery in Vassalboro. In lieu of flowers, memorial donations may be made to the Vassalboro Public Library, Pope Avenue, East Vassalboro, 04989.